Justin Bieber hair styles are very miscellaneous. From the boy next door bowl cut, his hair has grown into a family guy buzz cut, passing through the stages of a stylish faux hawk, elegant slicked back and incomprehensible dreadlocks. 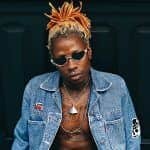 No matter whether you like him and his artistry or not, his hairstyles are definitely worth attention. So, let’s dive into the JB’s grooming evolution. Justin Bieber hair has so many personalities that we barely can keep up. Today, we see him as a gentleman with a sleek comb over, whereas no later than yesterday, he rocked ruffian messy spikes. His hair fully echoes his current mood and lifestyle. So, let’s take a closer look at the evolution of Justin Bieber’s hair. 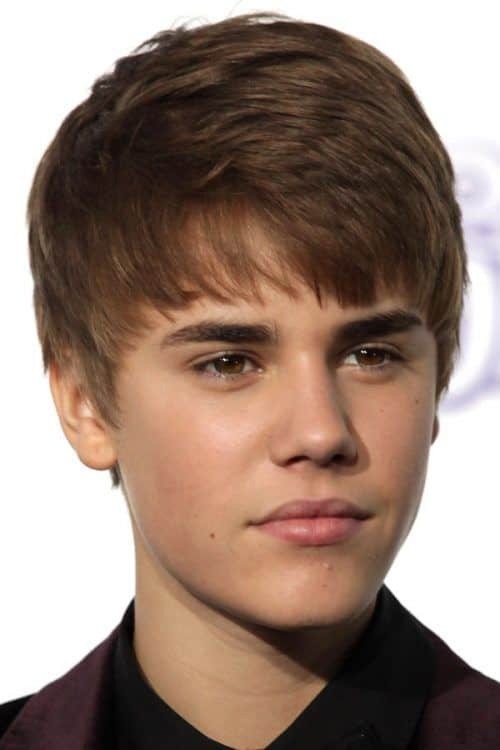 At the beginning of his career, Justin Bieber long hair was given a bowl cut. Although it reminded of a helmet a bit, thanks to the slightly swept to the side front and Bieber’s sweet voice, it was welcomed with warmth and hospitality in the rough singing world, unlike many other Justin Bieber haircut styles. As he was stepping into adulthood, Justin Bieber hairstyle got more mature too. He left his mushroom cut behind and opted for spiked hair instead. Thanks to Justin Bieber short hair styles have earned one more unique take on a classic faux hawk. With voluminous front bent at the tips to create a canopy and tapered sides, this is ultimately one of our favorite Justin Bieber hairstyles. Slick back hair and a black tie are always a good match. Though, it wouldn’t be Bieber hair if it didn’t have his personal turn. The hair left quite long all over the head. The top section is brushed back with enhanced texture while the sides a left hang loose. 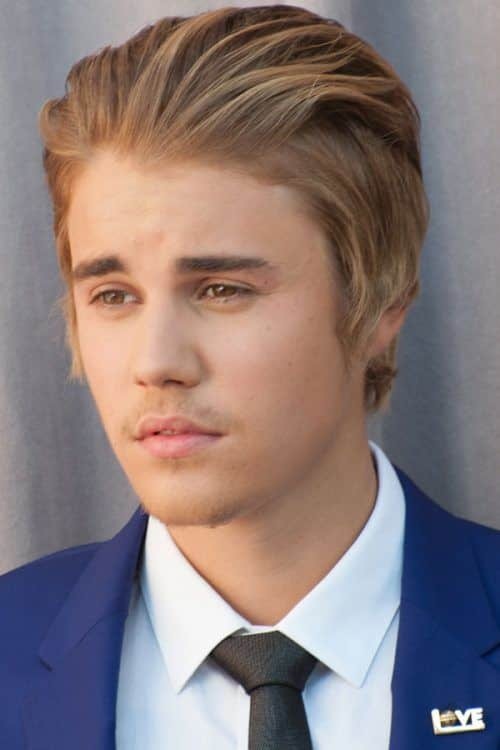 As an embellishment, the Biebs chooses an ephemeral mustache. This Bieber haircut is more wearable and down-to-earth although it also has the Bieber flair. The extensive top is separated from the trimmed sides with a natural side part. Elegant yet casual choice. 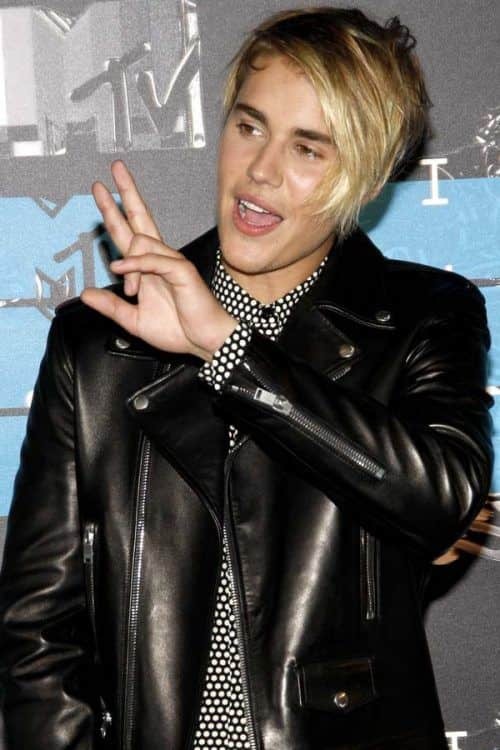 We’re not sure whether Justin Beiber hair tried to join some kind of youth subculture or JB simply pulled the plug on styling, but one thing’s for sure, this long straight dirty-blond fringe pushed to one side has raised a lot of questions. Ok, the emo-fringe isn’t the only Justin Bieber hair cut that public frowned upon. 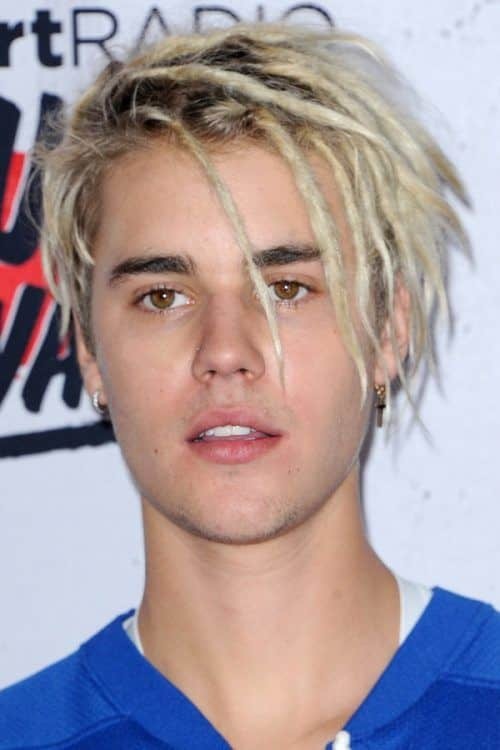 Bleached-blonde Bieber’s dreadlocks were also a very controversial hairstyle. And we sighed with a relief when he was over it. 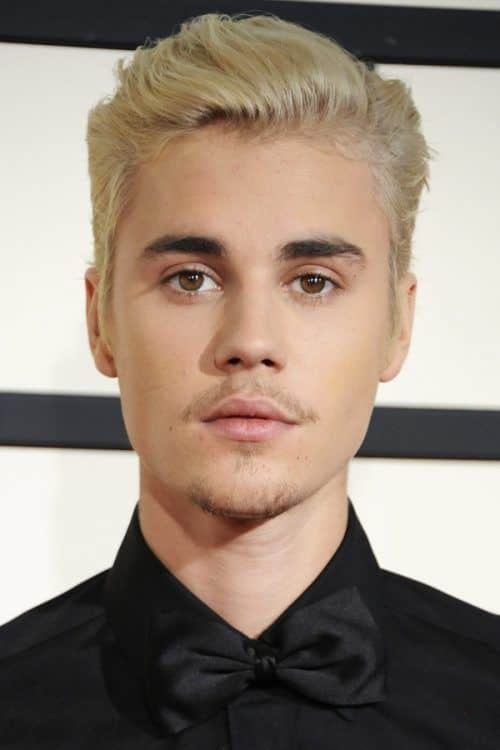 Here’s a win-win combination, as Bieber’s blonde undercut sported with a black shirt and bow tie creates a really striking double contrast. And Justin Bieber beard, well a patch of stubble to be exact, is a pretty nice enhancement to the whole look. As soon as Justin’s relationship with his wife-to-be at the time, Hailey Baldwin, broke new ground, his hairstyle gained the relaxed and carefree air familiar probably only to people who are that in love. Surfer hair didn’t last long though as well as their engagement. Justin Bieber new haircut was spotted on Instagram stories as, perhaps, one of the ways to celebrate his newly married relationship status. A classic buzz cut apparently signifies a new page in Buzztin’s life. Justin Bieber hair has come a long way since his “Baby” days. It has morphed from the boyish bowl cut to the masculine buzz cut. Although this homebody states that he’s settled down, something makes us believe that soon we’ll witness a whole new twist in his grooming life. If You Still Think That The Bowl Cut Is The Worst Nightmare Of Childhood, We Have Bad News For You!